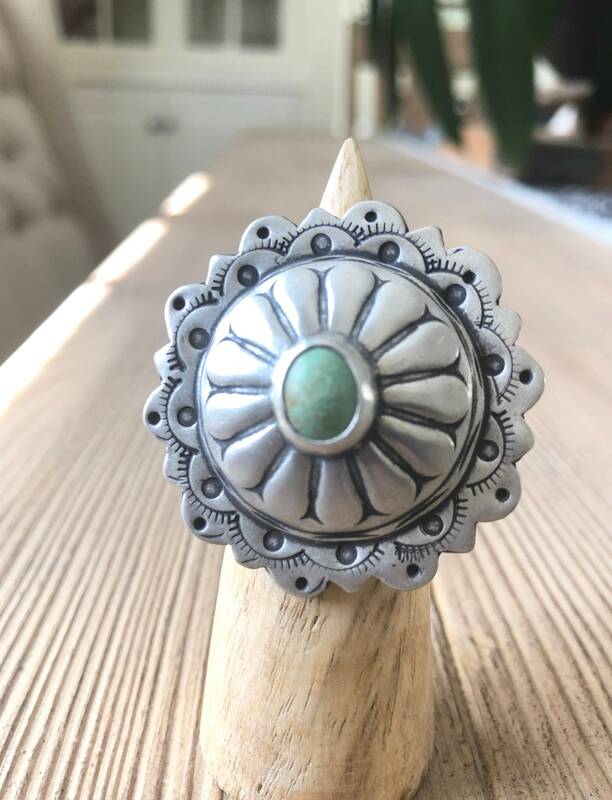 This fun Southwest inspired Ring is made entirely with Sterling Silver, and each one has been hand stamped differently. 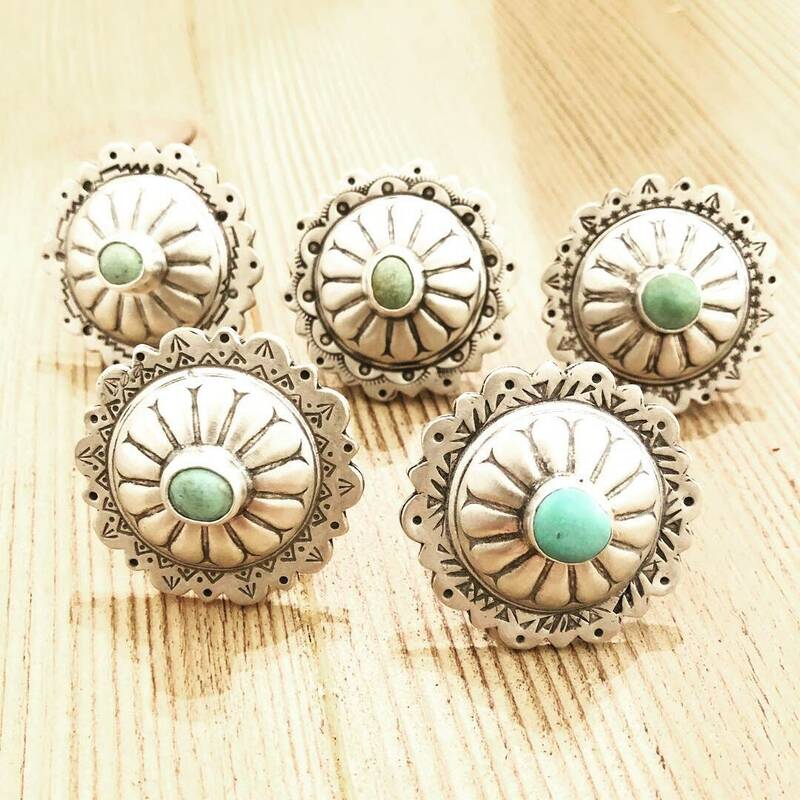 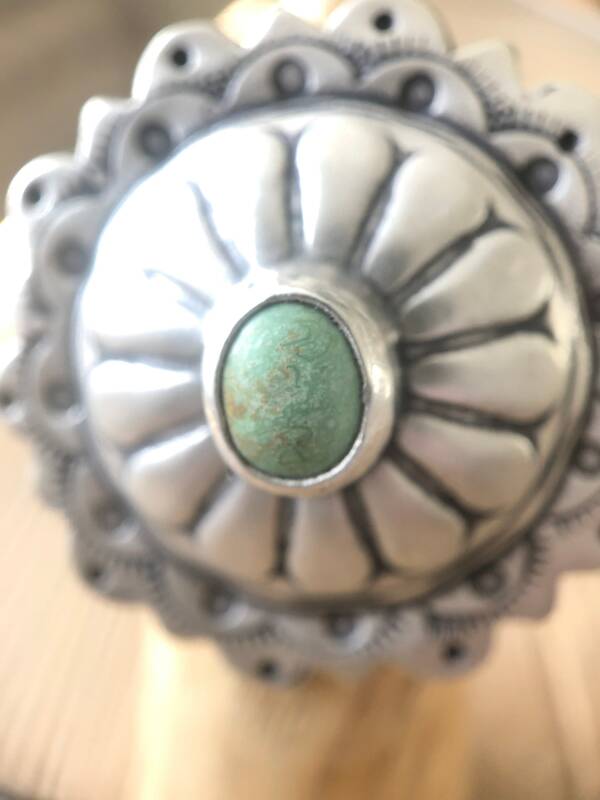 There is a cute greenish in color Turquoise that sits in the on top! 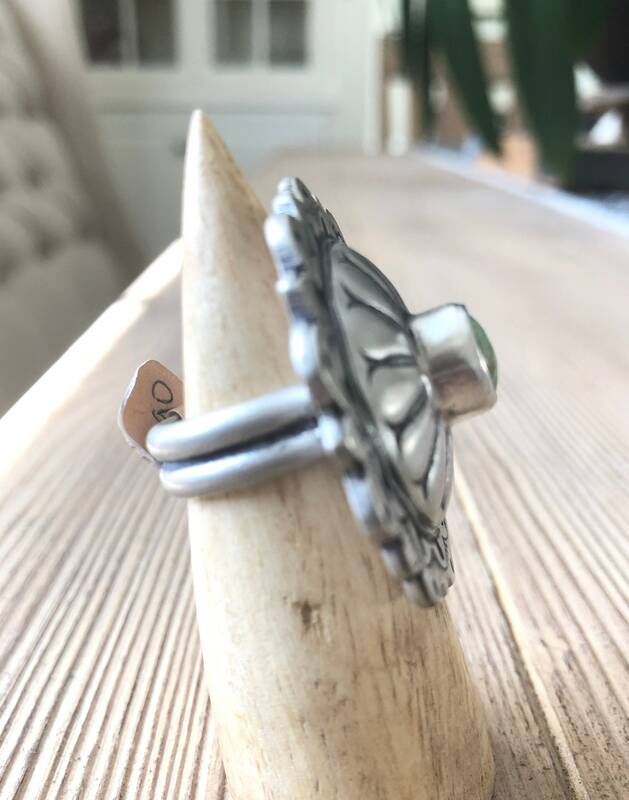 Size of the ring band is 7 3/4.